Other Names: There are four naturally occurring tetracyclines as well as a half dozen semi-synthetic versions, as follows. Chlortetracycline was the first member of the tetracycline group, being derived from a soil bacterium discovered in the late 1940s. In 2005 a new subgroup of tetracyclines named glycylcyclines. These new antimicrobials are being used to treat drug-resistant infections that do not respond to standard tetracyclines. Hemorrhagic Septicemia – bacterial infection of the bloodstream. Characterized by bloody streaks on the body and fins. Cotton mouth disease – bacterial infection that affects the mouth with fungus like growth and erosion of the mouth parts. Fin Rot – Fins and tail become ragged and frayed, in some cases almost completely eroding. 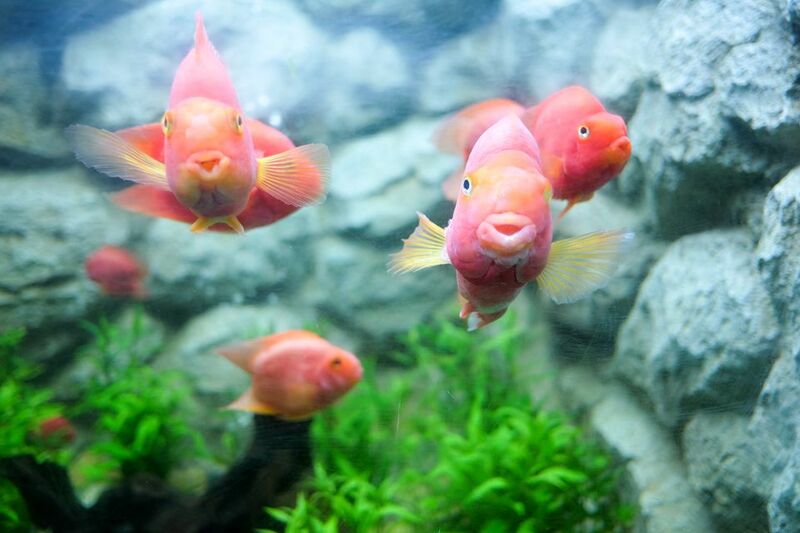 Gill Disease – Fish breathe heavily and gills appear bright red. Open Body Sores – Bacterial infection causing open red sores on the body. Body Slime – Slimy patches appear on the body, fish flashes against objects and breath rapidly. Pop-eye – Eyes are hazy and may protrude from head. Cyanobacteria - also used to treat cyanobacteria (blue-green algae). Generally tetracycline is more effective against aerobic bacteria, particularly gram-positive organisms. In infections caused by gram-negative bacteria, minocycline is more effective than tetracycline. Tetracycline becomes more potent as it ages, so expiration dates should be carefully adhered to. Tetracycline will kill nitrifying bacteria, so avoid using it along with other antibiotics to reduce the impact these drugs have on the biologicals. Monitor water chemistry closely for several weeks following treatment with this antibiotic, testing for ammonia and nitrite. Avoid the use of this drug if fish are already suffering from ammonia or nitrite poisoning, or diseases that have already rendered the fish significantly anemic. High general hardness (GH) will reduce the effectiveness of this drug. Tetracycline it is not effective at all when the water pH is higher than 7.5. Remove any carbon filter media when using this drug, as it will remove the Tetracycline from the water. Tetracyclines can be safely used together with Methylene Blue. Minocycline is a broader spectrum antibiotic than the other tetracyclines, particularly in treating infections caused by gram-negative bacteria. Of the tetracycline family, it is most effective against septicemia. Manufacturer's Directions for Use: For best results, remove activated carbon or filter cartridge from filter and continue aeration. For each 10 gallons of water, empty one packet directly into aquarium. Repeat dose after 24 hours. Wait another 24 hours and then change 25% of the aquarium water. Repeat this treatment for a second time, for a total of 4 doses. Then make a final 25% water change and add fresh activated carbon or replace filter cartridge. Treatment may be repeated if necessary. One package treats up to 100 gallons. Four doses required for full course of treatment. Manufacturer's Directions for Use: Add one packet (250 mg) into aquarium for each 15 gallons of water to be treated. Repeat in 24 hours. A partial water change is suggested between treatments. While duration of treatment depends on type and severity of infection, extended medication baths should continue for a minimum of 5 days and for not more than 10 days. Discontinue treatment if no improvement is noted within 5 days. To remove harmless yellow color, change 20% of water and use a charcoal filter until water is clear.